Powerful enough for Pros. Easy enough for Hobbyists. AudioKit is the leading open-source audio framework. It powers millions of app installs. AudioKit allows developers to quickly add professional audio functionality to iOS, macOS, and Apple Watch apps. AudioKit is the developer’s choice. It’s lovingly used by startups, indie developers, Apple Design Award Winners, and even Fortune-100 companies. Did we mention it’s completely FREE and OPEN-SOURCE? On this site, we’re highlighting cool things that AudioKit Professionals build and features and getting started links for AudioKit. Once you’re convinced to join us, head on over to the developer documentation site at audiokit.io. ✓ Fundraiser for the AudioKit open-source project! 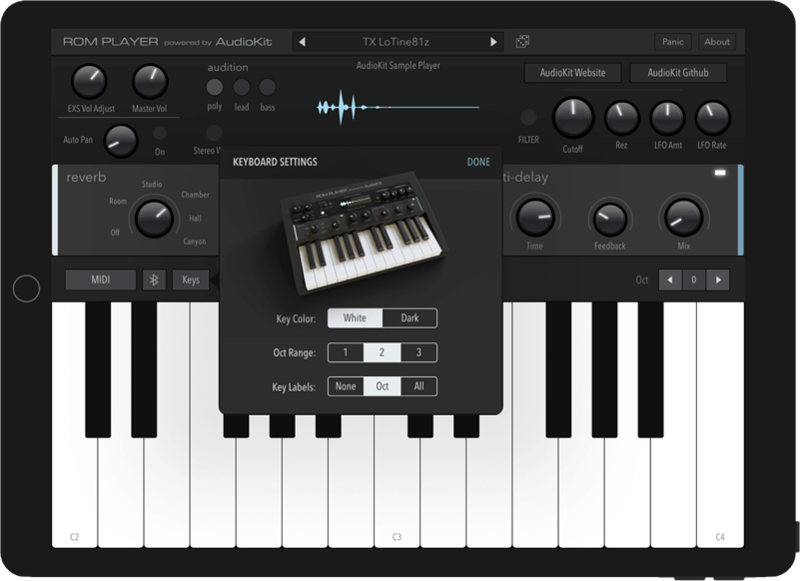 AudioKit Synth One is a full-featured FREE & OPEN-SOURCE Pro iPad synthesizer app built with AudioKit.